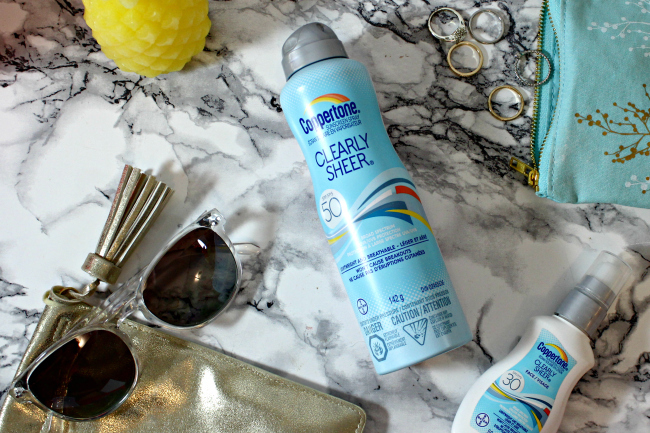 Coppertone clearly sheer sunscreens deliver trusted broad spectrum protection in delightfully light, refreshing formulas that barely leave a trace on the skin. They absorb quickly, feel clean and light on the skin, and won’t clog pores or cause breakouts. The clearly sheer line is designed with her specific needs in mind, and unlike any Coppertone she’s ever tried before. 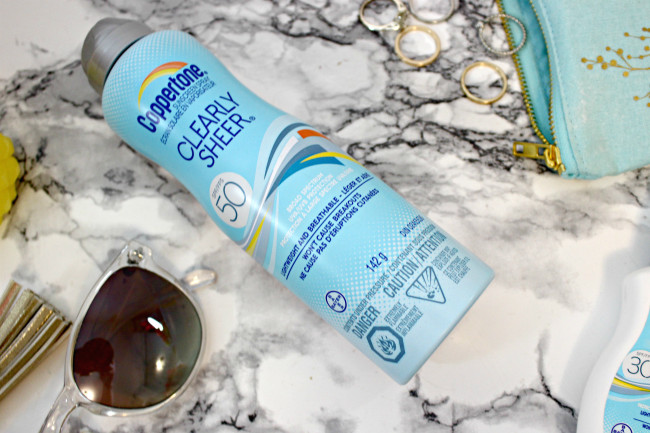 Last year I fell in love with Coppertone ClearlySheer Face Sunscreen, this year its the ClearlySheer Body Spray version I am ecstatic with and have decided I cannot live without. As a pale gal, I burn with just about any exposure to the sun. That being said, I hate sunscreen lotions, they are heavy and thick and take forever to absorb. Because of all of this I am always looking for a spray sunscreen that feels light on my skin but also have a strong SPF. 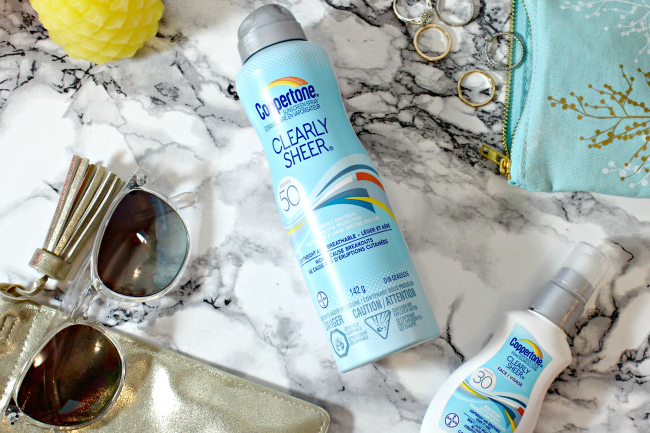 Coppertone's ClearlySheer body spray sunscreen fits all my needs and I have been loving it all summer long. ClearlySheer comes in a continuous spray bottle, the product feel extremely light on the skin and absorbs into the skin almost right away. My skin is left feeling soft and is light and weightless as though a product was barley sprayed on it. It also comes in SPF 50, which is what I always look for. While 30 is the minimum you should use, 50 is what I like because it gives me more protection and because I am so prone to the adversest effect of the sun. Now the hubby is a ginger who burns even faster then me (which honestly is hard to believe), he has also been using it all summer and loves it so much. He is incredibly prone to breakouts on his body and face and sunscreens bring the worst out in his skin. The ClearlySheer line has not only protected his skin, but hasn't caused a single break out the entire summer. We even spent the whole day at the CNE without us getting burned or even tanned (FYI we don't tan, only burn). 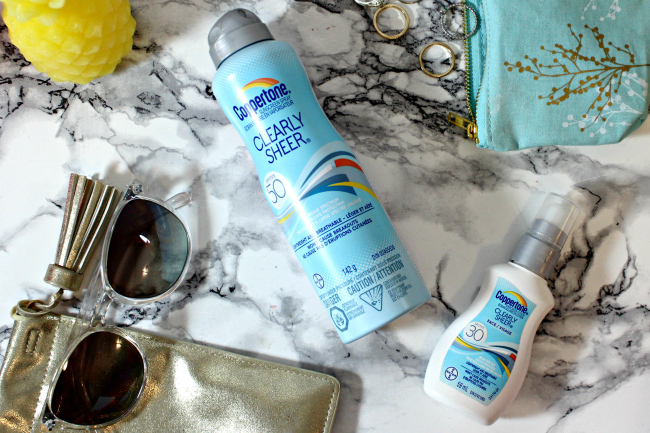 Overall this has been one of the best sunscreens I have ever used. It combined with the face version that I purchased last year have made me very happy because my skin is protected from the damaging rays of the sun, keeps my skin feeling soft and smooth while not causing any breakouts at all. *Product was sent for review purposes. All views and opinions are my own.